Intrigued to see what happens in the glamorous life of KA Wedding Planning & Design? 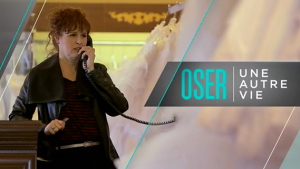 Watch the new TV Show “Oser une autre vie”, on Monday April 29, 2013 at 7:30 pm on Radio-Canada! For the moment, you can watch the preview of KA WEDDING on the TV Show. During 48 hours, Kim Ahonoukoun, the owner of the company, will be the mentor of a nurse that has 30 years of experience in her field and now wants to become a wedding planner. Click on the picture bellow to watch the preview. There is a 30 secondes publicity before the video starts. Admirable…. sans donne juste envie!